Whether it be raking leaves in the fall or gathering branches after a storm, many of us collect yard waste but few of us stop to consider what happens to the material once it is collected. Yard waste in brown paper bags are collected from household curbsides and brought to a composting facility. The leaves, twigs, and other forms of yard waste are then ground into smaller pieces and arranged into long, narrow piles called windrows. This allows for the site operator to flip the rows on a regular basis, introducing air and moisture to increase the temperature. The rows reach temperatures of 55⁰C – so hot that they generate steam! High temperatures allow microorganisms to break down the material in 4-6 months. The operator then screens the finished compost into nutrient-rich landscape products used by homeowners and contractors alike. ‍"Gro-Bark has been proud of the ‘sustainability’ of its business for much longer than anyone was talking about it. Our increasingly urbanized world needs solutions for recycling organic materials. Soil and mulch products are an essential part of the naturalized spaces required to enhance our environment and enrich our lives." Inorganic items such as glass or plastic can be inadvertently collected with yard waste. While larger items are removed during the screening process, smaller pieces can get through into the finished compost. This does not affect the quality of the compost but it can be bothersome to the person installing the material. By regulation, compost must not contain more than 1% of inorganic items. Gro-Bark® compost meets the Ontario Ministry of Environment’s Interim Guidelines for the Production and Use of Aerobic Compost in Ontario definition for ‘Type A’ compost. Through composting, organic materials are diverted from landfills and transformed into a material that enhances our landscape. Compost is used as a soil amendment, as well as an ingredient in several Gro-Bark® products including Gro-Max® Premium Garden Soil. 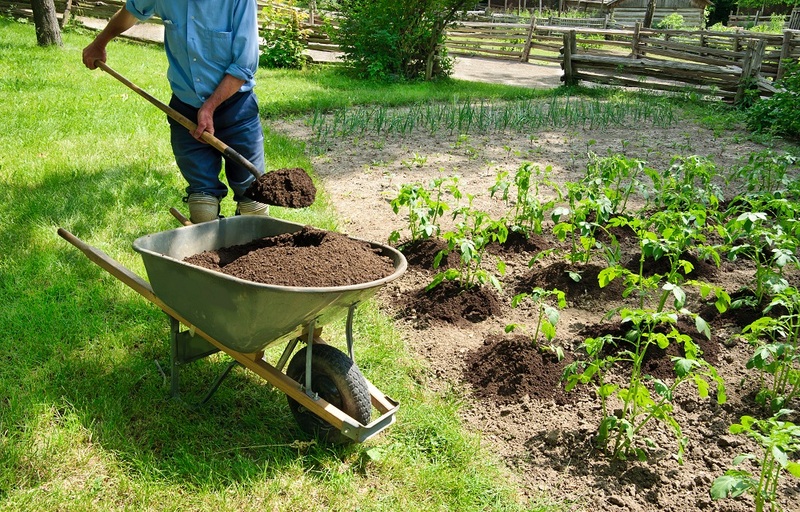 Compost increases soil structure, microbial action, aeration, and water and nutrient retention. We can all do our part to minimize the amount of glass and plastic found in composted products by being mindful not to include any inorganic items when collecting leaf and yard waste.